. يقدم Warrnambool Holiday Village خدمات لا غبار عليها وكل أشكال اللياقة وحسن الضيافة اللازمة لإسعاد ضيوفه. يمكن الاستمتاع بمجموعة من الخدمات على أعلى المستويات في الفندق كمثل تخزين الأمتعة, صف السيارات, غرفة عائلية, مرافق للشواء, خدمة غسيل الملابس. يمكن للنزلاء الاختيار من ضمن مجموعة من الغرف المصممة بعناية لتعكس جواً من الراحة، والتي يتجاوز عددها 10. يمكنك طلب اللائحة الكاملة للخدمات في الفندق ومن بينها حديقة. إن كنت تتطلع إلى إقامة مريحة وهادئة في وارنامبول، فستجد في Warrnambool Holiday Village بيتك الثاني. What i can say.... I will not look for other hotel if i got chance to come back to Warrnambool. Convenient & quiet. Clean room & friendly staff. As expected, nothing much to expect from a discovery park. Cabins are small, cramped and full o spider webs all over the external cabin. However, the location is very good, 2 mins walk to Woolsworth and cafes nearby. 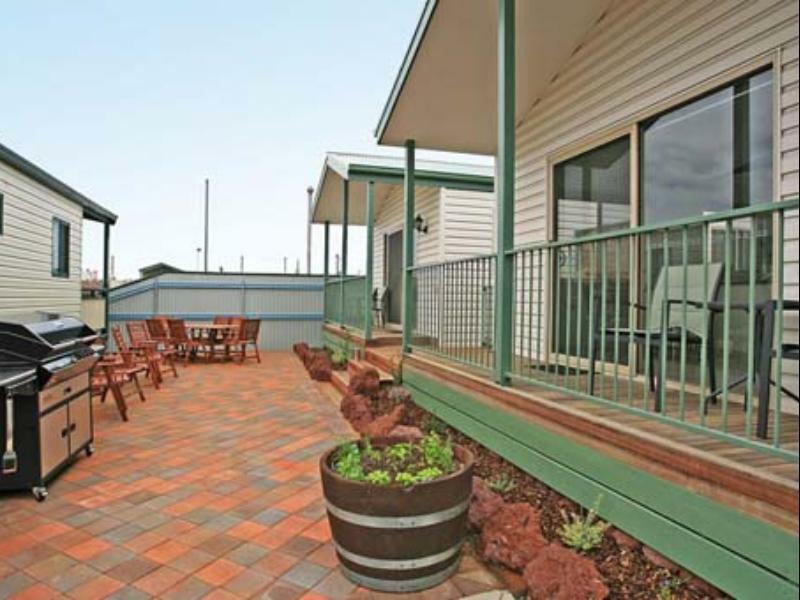 Great place to stay when exploring Warrnambool. 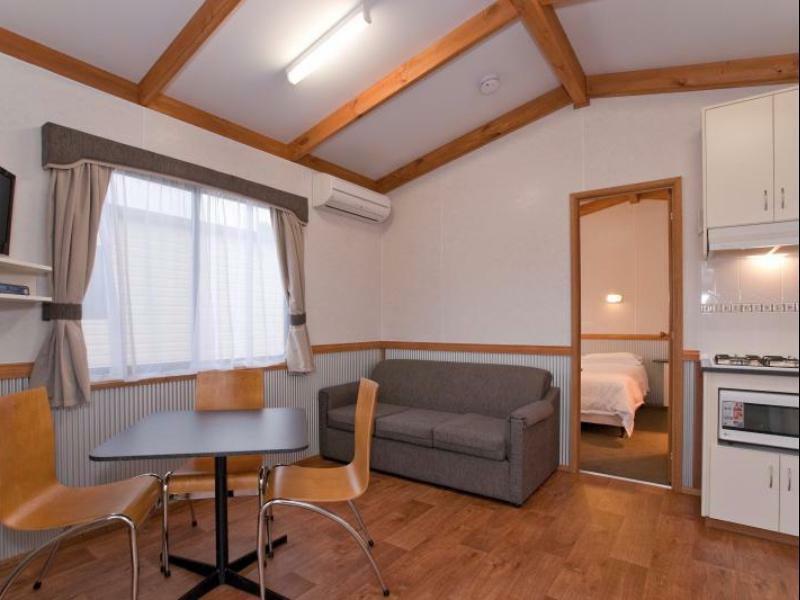 This cabin room comes with kitchen utensils which is very convenient. Good location and clean room. We stay here every time we come to Warrnanbool. It's cheap and clean and you can walk everywhere. The beds are also really comfortable and the bedding is high quality. really great loe walk to everything and clean and comfortable. We spent 2 nights here and have a pleasant stay here with friendly staff and the cabin was quite big equipped with kitchen, nice and clean bathroom, near to Woolworths supermarket.About 20 25 mins to Port Fairy and 54 mins to Portland.Warrnambool is a nice town with a botany garden, shops ,Target that operates a bit later than other shops as other shops normally close by 6pm.We went there early dec so it's still cold weather there and drizzled.But it was a great cabin/cottage to stay when in Warrnambool. enjoyed it very much it's proximity to everything, walking or driving. Great we had a blast the rooms that we got were great nice and comfortable.Staff were very helpful with info about the town.weather was great nice and quiet of street parking in front of unit. Location was good and love the surrounding of warrnambool!